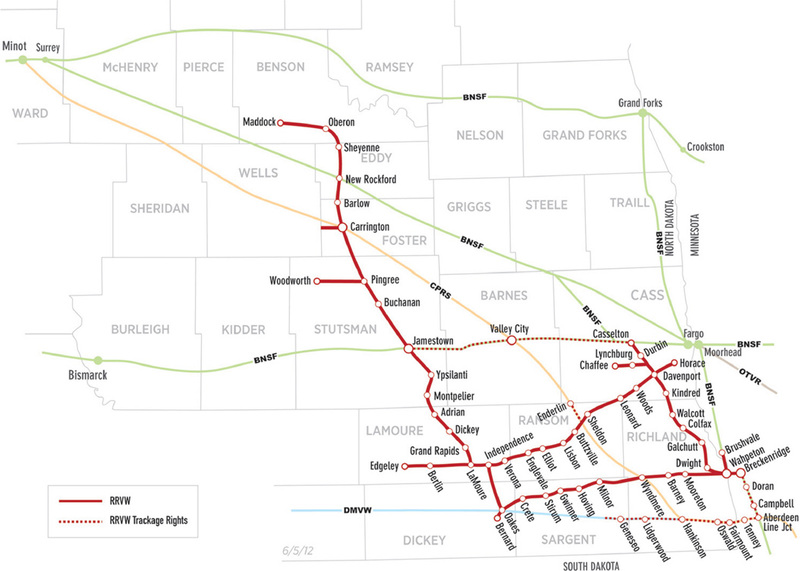 Since 1987 Red River Valley & Western Railroad (RRVW) has served North Dakota and Minnesota with over 500 miles of track. RRVW handles shipping, freight car repair, storage options, and now transload services. RRVW assists in the development of local communities on a multitude of different levels, but it is the support of local communities that assists in the growth of our business. Our team of specialists have years of experience, and we will provide you with outstanding results. The RRV&W Railroad owns and operates 577 miles of track in North Dakota, and we handle over 60,000 carloads of freight annually.